The Wonderful Wizards of Post contributors Amanda Durett Cercone, Perry DiMarco, Russ Mendelson, and Evald Ridore explain some of the choices they made; the strategies they’ve used; and the inspirations behind their editorial storytelling within the exhibition. This event is free and open to the public. RSVP recommended. For The Wonderful Wizards of Post, four professional television editors use their skills and creativity to reimagine new stories by re-editing footage from the classic film The Wizard of Oz. 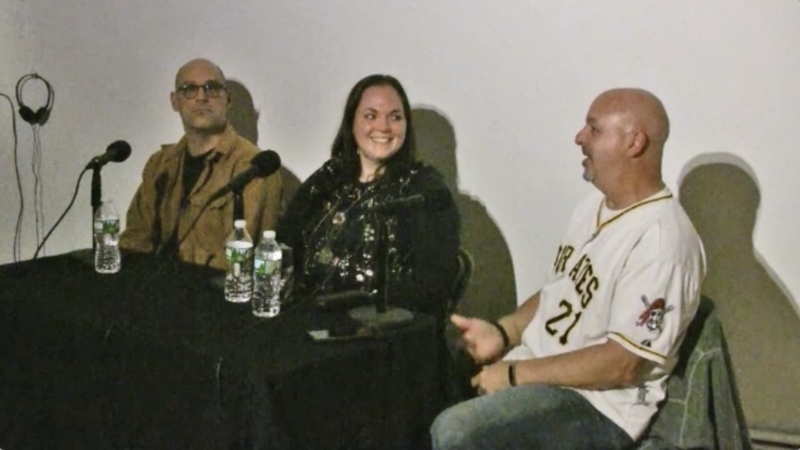 In this talk, the contributing editors Amanda Durett Cercone, Perry DiMarco, Russ Mendelson, and Evald Ridore share the thinking, processes, and techniques behind each of their works within the exhibition, underscoring the often invisible creative formation that happens in post-production. Amanda Durett Cercone is an Emmy Award-winning editor based in New York City. With almost 20 years of editing for television, film, sports programming, and corporate clients, her work has been featured on Food Network, HGTV, TLC, Bravo, NFL Films, FOX, Animal Planet, and YES Network. She is a graduate of the Art Institute of Philadelphia, where her student editing and directing work was later featured in a national commercial for the school. A career that involves music, storytelling, and pushing buttons has proven to be a perfect fit. She lives in New Jersey with her husband and children. Perry Di Marco is an Avid editor on such shows as: Nightline, What Would You Do? 20/20, Good Morning America, Mystery Diagnosis, Unfaithful: Tales of Betrayal, Make Room for Multiples, Whose Wedding Is it Anyway?, Psychic Kids: Children of the Paranormal, Man Caves, House Hunters International, Street Court, Storm Stories, MTV’s Ranked, It Could Happen Tomorrow, Breaking Vegas, Children of the Storm, Unique Whips, Home Delivery, Montel, Inside Edition, A Current Affair, Judge Hatchett, and America's Most Wanted. Growing up, Russ Mendelson found a best friend in Television. He developed watching Three’s Company, Mash, and Saturday Night Live. Bugs Bunny was also a huge influence on him. After studying Philosophy and Classics in college, Russ began freelancing as a PA, Assistant Cameraman, and Writer before crashing into a premier Post Production boutique for Spots in Soho. Finally becoming an Editor, he ran to edit Television. Short Films and Documentaries were great fun too and festivals were a place of wonder for him. Working in different genres of the medium, Russ has made entertainment at ABC, CBS, FOX, MTV, VH1, HBO, Bravo, Food Network, The Discovery Channel, and privately held companies. Evald Ridore is an editor with over 15 years of experience in broadcast television. His work has been featured on AMC, Bravo, The Discovery Channel, National Geographic, Food Network, The History Channel, and many more. He is a graduate of New York University Intensive Film Workshop. Recently Evald moved from New York to Los Angeles, California, to broaden his career into writing and directing.